How to write procedures in Gauss? I have sometimes seen proc 1 and proc (1) or proc without any number and I do not know how that makes a difference. Also, I know that within a proc before endp; retp() captures the final outcome to print, but what if I am interested in printing more than one outcome variable within retp()? Finally, how a proc is called/used? Is there any chance you can write a blog on this topic? If not, I will appreciate if these questions can be clarified in this forum. Those are all great questions! We have a video in our GAUSS Basics series planned for procedures in GAUSS. It is not scheduled for a few weeks, but let me see if we can get a tutorial or blog post with the main content. That is a good idea. 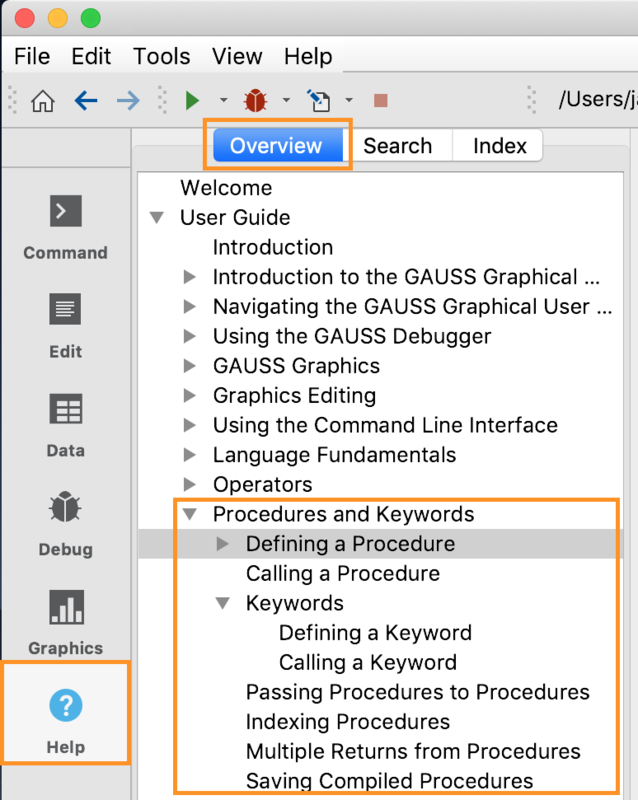 Once the procedure has been run, either as a program file or interactively, the procedure can be used just like a built-in GAUSS procedure until you clear it out with the new command. If you want to keep it around longer, you can add it to a GAUSS library. 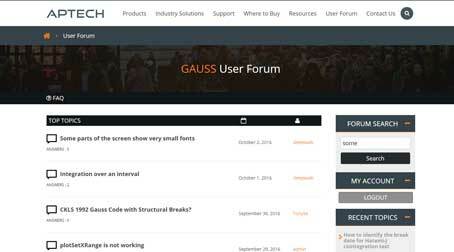 We are happy to answer any questions about GAUSS libraries, but they would be best in a separate thread to make it easier for future viewers to get help from the forum.